Most of us have met commuters who need to dress a bit more formally around the office, and must carry their dressier clothing via pannier or Monday-morning car delivery. While there are a variety of ways to bring a suit to work, sometimes the best solution is to just wear it. After all, in other places like Copenhagen and Amsterdam, cyclists don’t really see a need to get dressed for the ride in anything that isn’t regular work clothing. It works for them, and it can work for us. 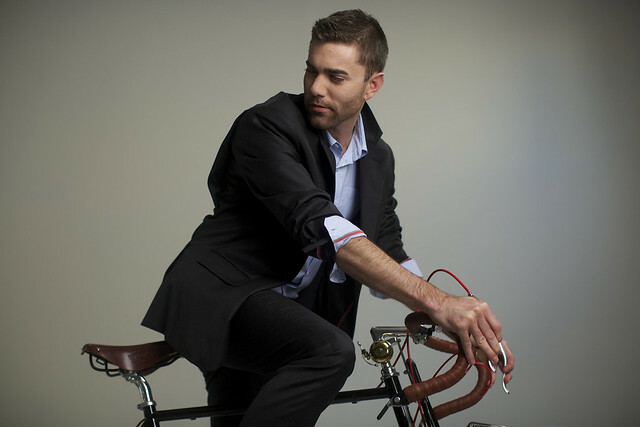 Enter Parker Dusseau, a men’s clothier based in San Francisco. 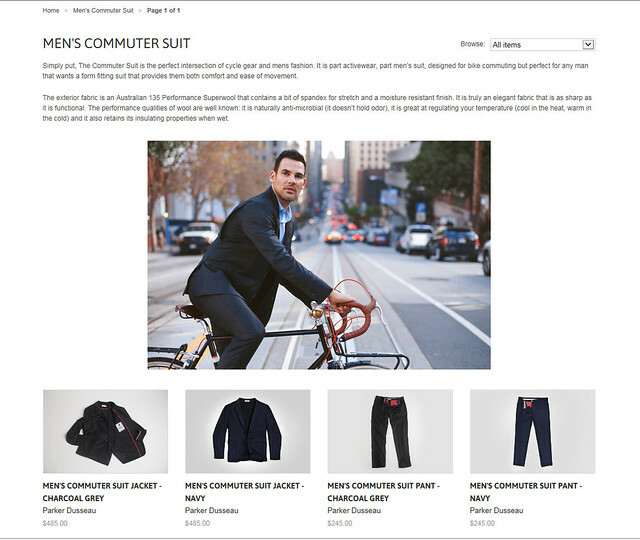 They’re making a “commuter suit” with a lot of details bicyclists can really get behind. The suit checks a lot of boxes…performance fabrics, deep pockets, hidden reflective trim, pit zippers, etc. Best of all, it LOOKS like a suit. Too much “commuter clothing” turns out to be fancified jeans or other attire not suitable for a more formal work environment. The Parker Dusseau pieces are available separately, and there are corresponding shirts and even chinos for less formal affairs. More information available at Cool Hunting or by visiting the Parker Dusseau information page.